The Isimba site is one of the recognized adventure Uganda safari sites where tourists have been going for adventure travel. It is sad to record that apparently the construction of an electric dam has blocked a 39km route on which the travelers on safaris in Uganda have been paying a minimum of $125 for a day’s excursion. 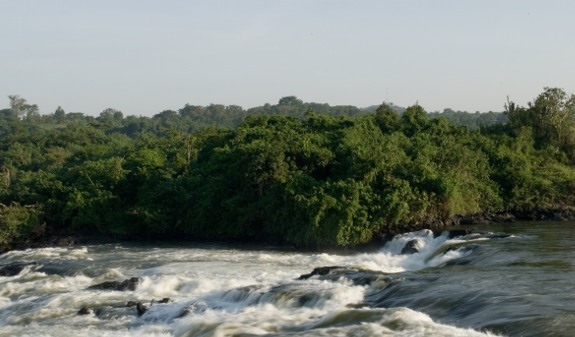 The adventure form of tourism has been the main offering of Jinja with re-known activities like white water rafting, kayaking among others have been reducing gradually with the construction of 188 megawatt dam at the mentioned Isimba falls along the famous waters of the Nile River which is always visited by travellers on a safari in Uganda. The counts of tourism companies have been using the Isimba Site to promote adventure tourism activities and trips to Bujagali. The adventure tourism was listed as the third most popular tourist activity for leisure tourists on Uganda safaris and tours according to World Bank Economic and Statistical analysis of Tourism 2013. The World Bank Report indicated that the adventure tourism pulled 25% of over one million non-residents that undertook a safari to Uganda in 2013. Activities of adventure tourismgot third position following Uganda wildlife safaris which came in the first position with 39% and Uganda gorilla trekking safaris that came in second position with 26%. The Adventure tourism stake holders in the in Jinja continue to note that the developments at these sites will push the adventure tourists to other destinations like Zimbabwe where activities like rating can be done along River Zambezi. The construction of the dam and blocking of 39km route would mean that the tourist route will be shortened which would in turn be less interesting and adventurous for the visitors on Uganda tours.